After staying at Burswood for a night, seemed like a nice idea to grab some breakfast on the way home. 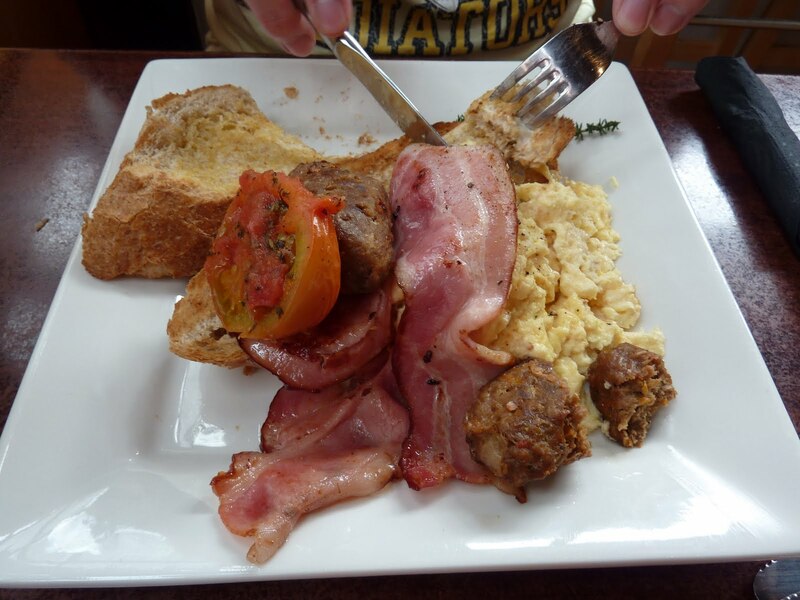 We tried our luck at the Old Bakery on Eighth Avenue in Maylands. Was really impressed with the place, and not just because it had belonged to my family many many moons ago. Perhaps the time between getting our coffees and meals was slightly lengthier than we would have liked, but the food was worth the wait. Really well cooked! 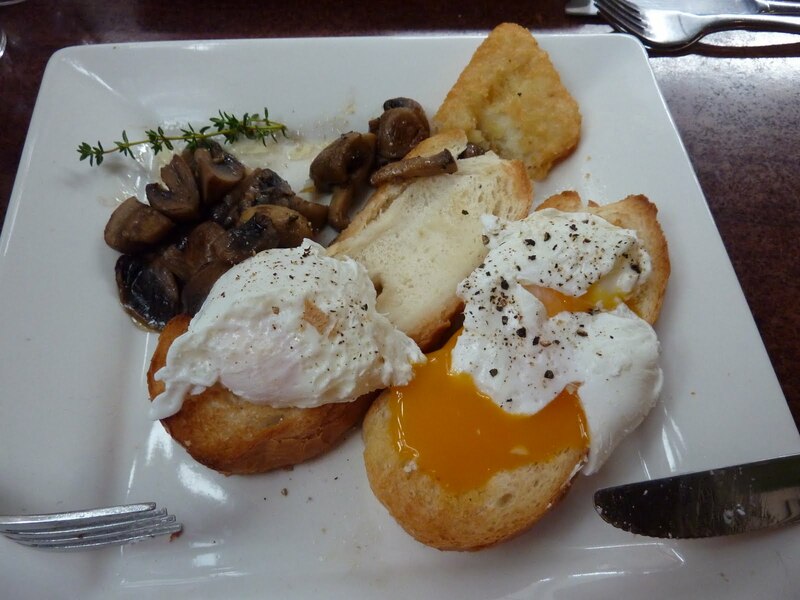 And I had poached eggs on toast, with mushroom, so so good!! Perfectly good eggs, the bread wasn’t too crunchy so that it was painful to eat (you know the kind of bread I mean), and they must have used thyme in the mushroom – delicious! Really glad we decided to give this place a go. I would definitely go back. The whole Eighth Ave strip is becoming a popular breakfast spot on the weekends these days. Many other places on the list to try out.